Fiery ginger root and crisp apples combine for gloriously unique blend. Ingredients: 99% pressed apple juice, 1% ginger extract, Vitamin C.
I liked this blend - it is refreshing, not too strong or sweet. This juice has a bright, fresh flavor. The combination of apple and ginger is so refreshing and thirst quenching. 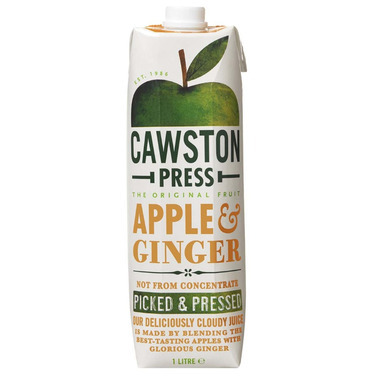 This is a really nice flavour not too strong on the ginger and Cawston makes great juice.